It is said that health is wealth, but due to the increasing treatment of various diseases, many people are unable to live on the principle. In recent studies, it has been found that many of the diabetic patients are either avoiding treatment for diabetes or taking only partial treatment, all because of the increasing prices of drugs and medical care. People with Type 1 diabetes must take Insulin;otherwise, death may come in just a matter of weeks for them. People with Type 2, are advised to take Insulin, but people following this advice are decreasing day by day. And then there are many other medicines associated with diabetic care which supports the good health of the body organs which gets affected day to day due to the high blood glucose levels. The problem with the price increment of diabetic care medicines and tools can be combatted with proper information about the matter, and research on shops and stores which provides medicines at reasonable and low rates. With the increasing % of patients of Diabetes in the world, the cost of drugs especially Insulin has increased quickly. As compared to the past decade, where the number of diabetic patients was 4-5% in the US, now it has increased to 7-8%. This drug, which is very important for these patients has unexpectedly achieved new heights of the price. Other than insulin, many new drugs are coming up in the market that shows better results in reducing and controlling glucose level, but yet again, they have a high price. Insulin level has increased from approx. $40 to $120 in the last10years. Not only insulin, other drugs that are needed in the treatment of diabetes are increasing at the same rate. Also, other medical care costs are eating up the pocket of patients. Medical consultation fees for diabetes have also increased following an increase in the price of drugs. This is also due to increase no of research in medical care. 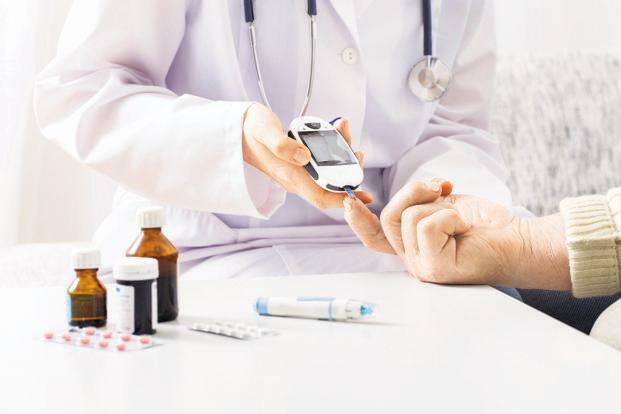 Even the blood glucose monitors which are must machines to be kept handyif you have diabetes,to check sudden rises and falls in blood sugar are getting costlier than ever. The third cost that is consuming the patient’s wallet is the cost of different prescription tests and analysis that are prescribed by the doctor, to be done. These tests are also at a higher rate, which doesn’t seem justified. And sometimes the cost of tests is higher than medicines. How to meet the rising cost of diabetes treatments? To fight these rising costs of diabetes, there are some companies and online services that offer a discount on your medical prescriptions so that you can save some amount from your pocket and spend better on your health. Discounts and benefits are offered on 80% of the drugs and are applicable all over the US in 60000+ medical stores. Depending on the drug, the discount may range from 10% to 80%. Isn’t this a good deal to save some cost and spend your money on actual health improvement?Memberships with a certain store may sometimes help with bringing higher discounts too. Where can you bag the best diabetic medicine deals? To start finding ways to save money for your diabetic care, you will have to look for pharmacies who offer loads of discounts. Some pharmacies have their trusted online stores, which never goes out of stock. Ina brick and mortar store, you may have to hear thewords that your prescription medicine is out of stock,and you will have to wait a few days for it. But this is generally not the case with online pharmacies where you get the right medicine on time, and at a much higher rate of discount than you get elsewhere. That’s because brick and mortar stores have their establishment and business running costs which they cover with their profits. But pharma stores online can give you better offers for they are operating online only. Few companies are offering really good and trustworthy services to help people cope up with the increasing cost of drugs and fight with the disease at the same time. One trusted example that can be taken up for such discount is Pharma Quotes. Free discount cards are also available, which can be claimed once and can be used at almost every medical shop, on every prescription. Also, it is available and accessible to all people, there isn’t any need for pre-registration or pre-approval,and it can be used for a lifetime. This makes the use of the online store really easy because patients are looking for a good deal and also the right prescription medicine already stay ina lot of mental pressure because of all that and overall this medical condition. They often get stressed by ambiguous registration procedures and all and loves easy interfaces and easy dealings. These are the kind of services that are giving hope to people and society that they can still fight with inflation as well as diseases at the same time. The best way to save your money from investment on medicines is to take care of your health from a stage where you know that you may catch diabetes but still are on the marginal level. Patients with Type 2 diabetes is on the verge of catching type 1 if they do not take care. But with proper care, they may never get type 1, and also can get out of Type 2 with blood glucose monitoring, exercising diet, and obesity control. That is why it’s good to take care from an early stage to avoid getting into this. Also, you may take care of afterward when you have high blood sugar already. Proper care with exercise, lifestyle improvement, diet and sugar control can help you stay in a good monitored state, and then the medicines needed to take care of the blood sugar will also be limited and fewer potency ones. Therefore, this will also help you save considerably. Next articleWhat are the Top Applications of CBD Oil?